VENICE, Italy, Feb. 12 (Yonhap) -- Alcantara S.p.A., the maker of the upmarket leather alternative of the same name, will strengthen its business ties with South Korean companies as the country is a steadily growing market, the company's chief executive said Tuesday. "For Alcantara, South Korea is a steady and high-potential market. Korean consumers are highly sophisticated and demanding towards the quality of products. Made in Italy products are preferred among them," Alcantara Chairman and Chief Executive Andrea Boragno said in an interview. The interview took place in Venice after the 5th International Symposium on Sustainability under the theme of "Climate: How to Engage Society and Deploy Decarbonization," which was hosted by Alcantara on Thursday and Friday. 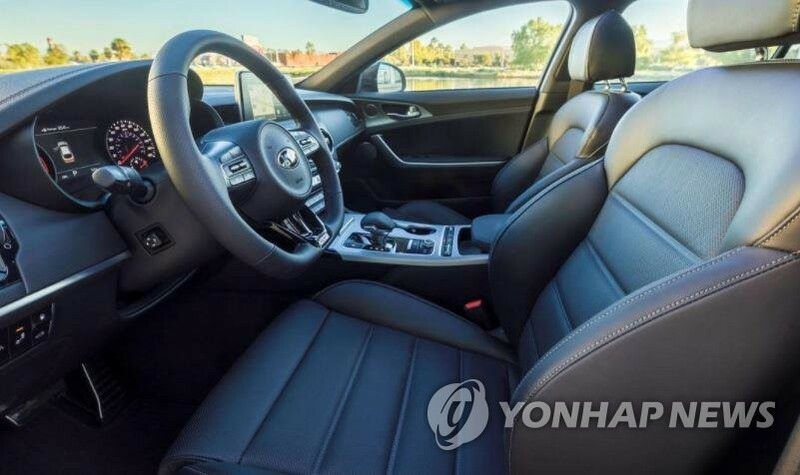 Alcantara began its partnership with Hyundai Motor Group in 2007 by providing its synthetic suede to Hyundai Motor Co.'s Equus flagship sedan, which is now the G90 after a full-scale makeover. A decade later, it has supplied the material to Kia Motors Corp.'s Stinger sports car since May last year and plans to provide it to Hyundai's i30 N, Veloster N and a next-generation electric vehicle in 2019, 2020 and 2021, respectively. Hyundai and Kia are key affiliates of Hyundai Motor Group, the world's fifth-biggest carmaker by sales. Moreover, Alcantara plans to supply its material to SsangYong Motor Co.'s flagship G4 Rexton SUV later this year. The material is also used in the covers of Samsung's Galaxy S8 and S9 smartphones. Boragno said Alcantara is not in talks with Hyundai to supply its material to the carmaker's luxury Genesis lineup and didn't say if the upcoming Galaxy S10 flagship will have Alcantara covers. Automakers increasingly want to use Alcantara's material to spruce up interiors and shed weight. It's become common to see car models with Alcantara-covered seats, dashboards, headliners and steering wheels. "Even in upgraded trim levels in mid-market cars, there is quite a tendency to improve the quality of the interiors," the chairman pointed out. Nearly 80 percent of Alcantara sales by material volume are auto-related. But the material is gradually finding its way into planes, luxury yachts, fashion and even consumer electronics. The company currently produces about 8 million meters of its material per year. As demand in the United States and Chinese markets continues to drive sales, it has recently announced a plan to invest 132 billion won ($117 million) to increase production by 70 percent in the next five years. Alcantara does not have a manufacturing facility outside Italy. 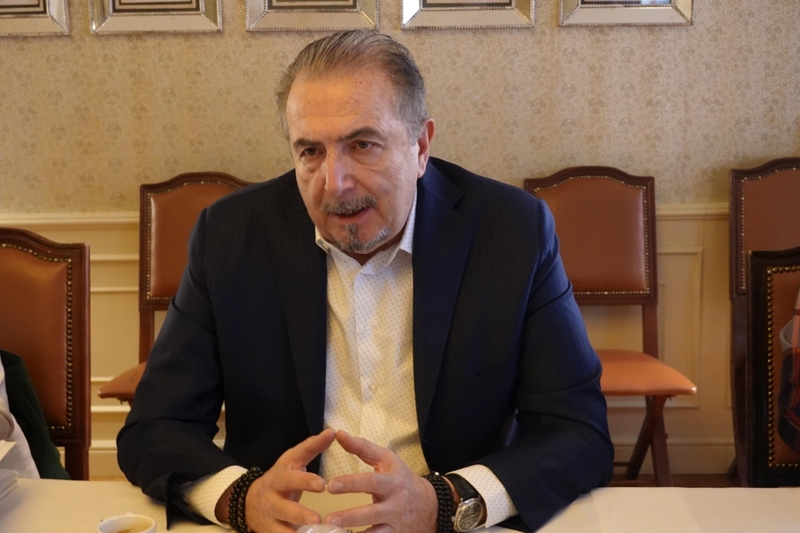 Asked about a possibility of building a plant in emerging markets to take advantage of low labor costs, the 68-year-old Italian native adamantly said the company does not have such a plan. "The 'Made in Italy' tag represents high-quality and high-fashion around the world. If we move our plant to emerging markets, Chinese customers will be the first to turn away from our products (made outside Italy)," he said. Alcantara has a number of merits over leather. Alcantara is 50 percent lighter than leather. It's durable. Among other things, the process for making it is environmentally sustainable. Alcantara earned carbon neutral certification in 2009, becoming the first Italian company to become carbon-neutral. And it has begun introducing some renewables into its supply chain and aims to churn out a 100 percent bio-based product by 2020. Boragno expected demand for sustainable products that do not require the killing of animals and have an environmentally friendly manufacturing process to rise further. Alcantara's sales soared to 197 million euros (US$224 million) in 2017 from 64.3 million euros in 2009. It expects sales for last year to reach 204 million euros and a sales growth of 9-10 percent this year. Europe accounts for 60 percent of Alcantara's global sales, with the Asia Pacific region and other emerging markets making up 30 percent and the U.S. 10 percent. Toray Industries, which produces synthetic suedes branded as Ultrasuede in Japan, owns a 70 percent stake in Alcantara and Mitsui & Co. holds the remaining 30 percent.